Best Alarm Clock Apps lists the Android Apps those can be to used as alarm clock. The featured alarm clock apps differ in part by their functions. Honestly, no one wants to let the sleep get ripped off by the sound of an alarm clock, but we do need an alarm clock, so here is this list of best Alarm Clock Apps for Android. You can type or copy any name of the Apps listed in this list?of Best Alarm Clock Apps for Android Tablets and search it in Android Market Place using the Search function. Alarm Clock Xtreme Free : Do you have problems turning off your alarm clock only to fall back asleep? Wake up gently and avoid accidentally disabling your alarm with Alarm Clock Xtreme. This alarm clock includes features that prevent excessive snoozing and get you out of bed – very naughty idea to wake you up! Gentle Alarm : Wakes you up at optimal time in sleep phase. Night display, dock support. AlarmDroid : AlarmDroid is a feature-rich alarm clock application. It is created to give every Android-User the opportunity to wake up his(her) own way, not caring about whether he(she) is an early bird or a morning grouch. 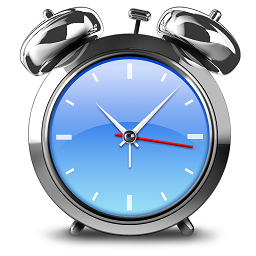 Alarm Clock Free : Turns your android into a beautiful digital clock and alarm clock for free! ZDclock : Life comes easy with ZDclock ZDclock=Evernote+Alarm clock, Gorgeous Conbination, Easy to use, All free with no ads Wake up, Birthday, Anniversary alarms are included. WakeVoice ? vocal alarm clock : The best alarm clock out there! Speech recognition, speech synthesis etc extra features to use. Alarm Clock Plus? : Ensure you always wake up with Alarm Clock Plus! We hope that you have found your choice from our list of Best Alarm Clock Apps for Android Tablets. This Article Has Been Shared 6735 Times! Cite this article as: Abhishek Ghosh, "Best Alarm Clock Apps for Android Tablets and Phones," in The Customize Windows, December 11, 2011, April 25, 2019, https://thecustomizewindows.com/2011/12/best-alarm-clock-apps-for-android-tablets-and-phones/.